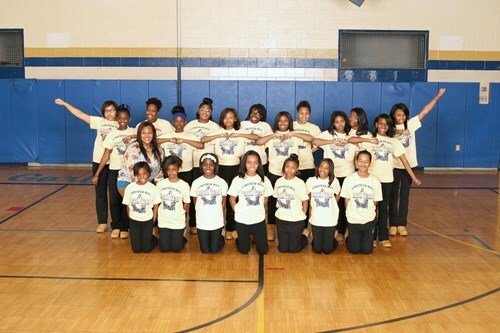 Welcome to the Middle School Drill Team. We will be performing a step routine during half time at all home girls basketball games during the 2015-2016 season. In order to be eligible for the Drill Team, you must be passing atleast 5 classes during the 2nd quarter. Cost to participate which includes sweatpants and a tshirt is $25.00. Cash, check or money order should be made payable to the Garfield Heights Athletic Booster Club by Friday, January 22, 2016. All drill team members should also purchase tan/beige boots.